Now that fall is here, people are starting to think about the winter to come. Most of us like to hold on to the last drop of warm (or semi-warm) weather, enjoying outdoor fall activities and busy weekends. It’s easy to put winterizing your home on the back burner. But, it’s really something you don’t want to neglect for long. Cold, snowy weather often visits us as early as October. If your home’s not ready it could lead to some uncomfortable conditions. 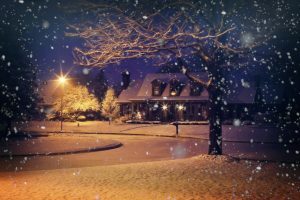 An article on the Do It Yourself website by author KC Morgan gives some pointers on how homeowners can get their basement ready for winter. It suggests that with a little prevention, you can avoid basement disasters. It outlines some actions you can take on your own to get your basement cold-weather-ready. You can help keep your basement secure this winter by taking these measures. Seal leaks. Look for drafts or any signs of water around your basement doors and windows. Use weatherproof caulk to seal the gaps, both inside and outside. If you notice a large crack or leak in your basement floor or wall, call Basement Waterproofing right away. You likely have an issue that will need to be handled by a professional in that case. Insulate your pipes. You will want to cover basement pipes with insulation. Sheets of foam insulation works best, secured with a sturdy tape. This goes for metal pipes. They can burst if they freeze – and that can lead to basement damage you don’t want to think about. Take care of windows. Basement windows are easy to forget because they are small and set higher along the basement wall. But, they can be a major culprit for letting cold air into your home. Use plastic window film to cover them and keep the cold air at bay. Get your “ducts” in a row. If there is exposed ductwork in your basement, make sure it’s dust free and then seal up joints, grooves and leaks with aluminum tape. Take care of your furnace. Make sure you get professional maintenance on your furnace to ensure it’s running safely. One part of furnace maintenance you can do yourself is the filter change. You should do that usually monthly during times when your furnace is running heavily. It helps with efficiency and keeps dirty air from circulating in your home. If you’re concerned your basement has moisture problems, don’t wait until winter to take care of it. Cracks in the walls and floors, pools of water, mold, mildew and leaks all need immediate attention from a basement waterproofing professional. If you notice any of these problems, they should be taken care of before the temperatures dip down. You can remedy the situation by calling Basement Waterproofing Inc. For your convenience, we’re fully staffed during normal working hours to answer your calls – call us at (800) 439-4951, and we’ll be glad to help.